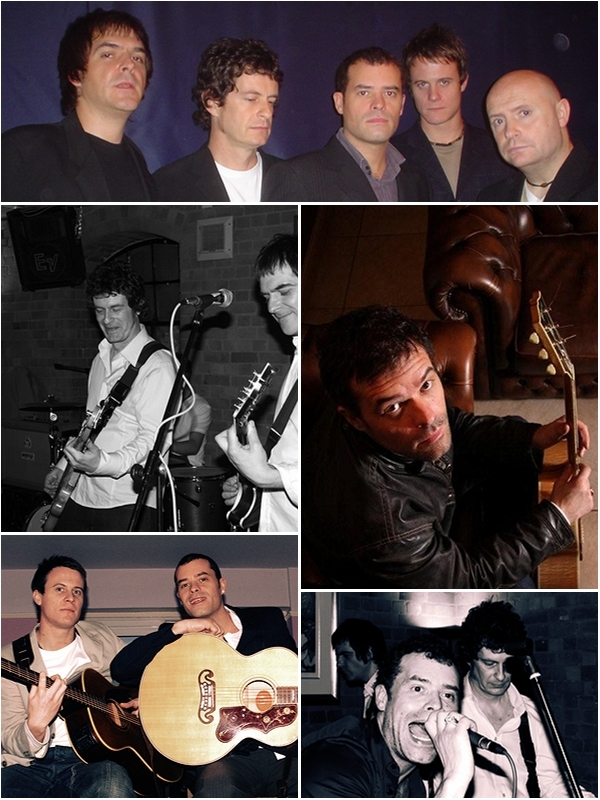 Classic Rock’n’Roll meets uber-cool Britpop with Sunset, a talented and versatile Nottingham-based 5-piece. With a wide repertoire spanning over 5 decades of pop hits and embracing many different sub-genres of musical styles within that period, Sunset stamp their own unique hallmark on each song. Beatles, Kinks, Who, Stones, Yardbirds etc mingle effectively with Bowie, Sting, Bono and Geldof, leading on to more recent icons like Blur, Pulp and Radiohead. Sunset’s convincing renditions of these diverse selections are all the more striking in the way the band’s own individual sound always shines through. Sunset don’t merely produce a sound – they are a sound. Raunchy guitar chops overlay and punctuate a rhythm backline that truly kicks. Soaring 3-part harmony vocals deliver the lyric message, enriching the overall texture of the band’s trademark sound. Both individually and collectively, the band boasts a wealth of performance experience, from pubs and clubs through festivals and films to stadium concerts. A certain carefully-crafted selection of Sunset’s repertoire can be effectively presented in an acoustic framework featuring guitars and vocals, as either a duo or a trio. This presents an ideal and economic alternative for smaller, more intimate occasions where the full band might be a little overpowering. Sunset Unplugged can draw on a repertoire of over 300 songs, largely selected from the full band’s playlist but also featuring other specially-chosen items. Of course, the full band can always turn the lights down low and perform an acoustic selection during their set, producing an effective change of pace and ambience. This versatile, flexible approach widens Sunset’s appeal to audiences of any size at any type of event. If you want a thoroughly professional, versatile and experienced pop party band with a distinctive sound of their own, Sunset may well be your ideal choice. Offering a flexible line-up and drawing on a massive repertoire spanning 5 decades of the very best of pop, these guys certainly know how to get a party really going at any event, large or small.